We’re lucky enough to be able to visit the ‘Pearl of the Orient’ as and when we want, often with friends in tow, so we’ve happily visited many of the places we mention many times over the years. 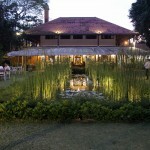 Each time we visit we try to add at least one or two new places to our itinerary. 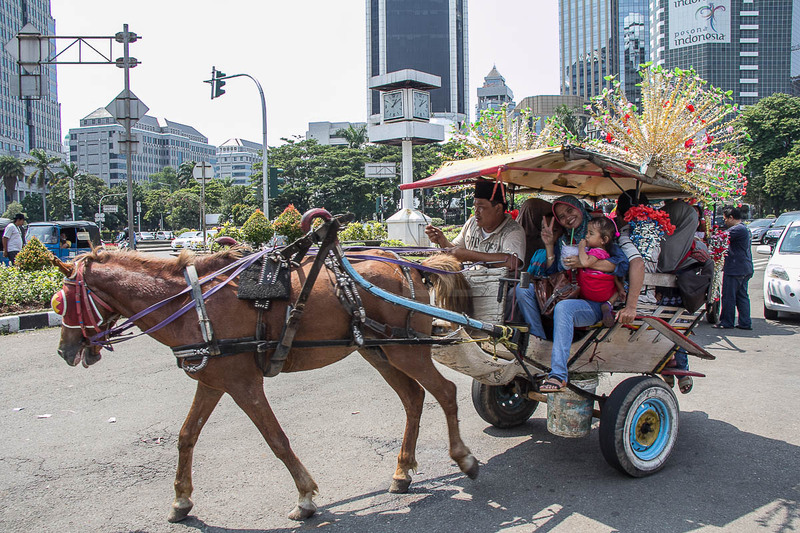 We’ve just had information about the George Town Festival 2015, which will run from 1st – 31st August so this writer sees this as a good opportunity to check out the new Electric train running between Kuala Lumpur and the north sometime during the month. All the suggestions offered here are suitable for those happy to walk or catch public transport which is inexpensive and has good coverage. Read our story HERE. We’ve already posted some ideas for a couple of things you can do for half a day. See our story HERE for some things to fill an afternoon. If you have a morning to fill, try these ideas. First up will be the most important meal of the day so you’re ready for what’s to come. Whether you eat in your hotel, or go looking for hawker food, we have a few suggestions HERE. 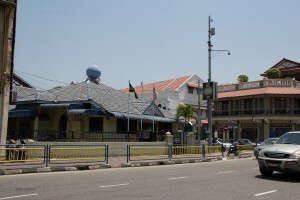 Although we usually eat breakfast in the Pulau Tikus area, you can find similar food and coffee shops (kopitiam) all over the island. 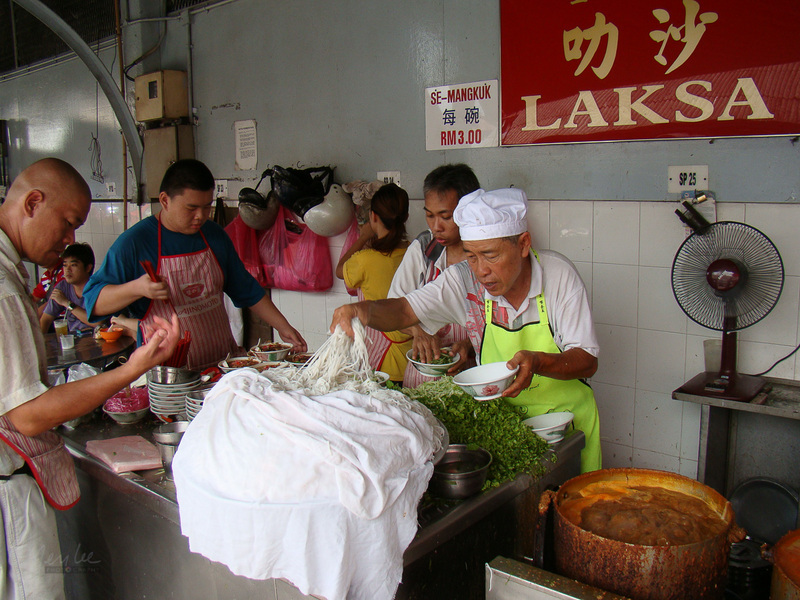 All Penang people love their hawker food so it you want to try somewhere near where you’re staying, ask the people at the front desk – they’ll usually be more than happy to share their favourites! Whether you take a walk catch a bus, or any of the other choices available (see link above) keep your camera ready. One of the things we like about walking is that there are ample opportunities to stop and taste interesting things along the way and not feel guilty because you’re walking it all off anyway, right? Watch out for the Hop On Free bus, in case you get tired – it does a circuit of the city centre – there are signs at the stops which indicate the routes. Depending on where you are staying, take a walk into the city centre. 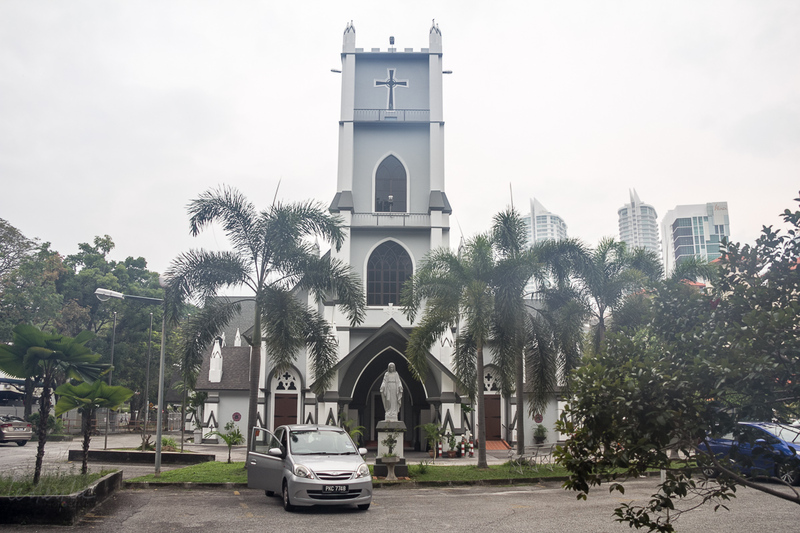 Jln Burma is an interesting walk because it has, apart from lots of potential food stops, many old churches, temples and a couple of old traditional Malay style mosques. 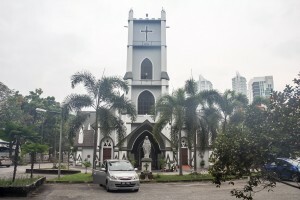 Look out for the 200 year old St Ignatious Catholic Church and the monument in the grounds to one of the martyred priests. 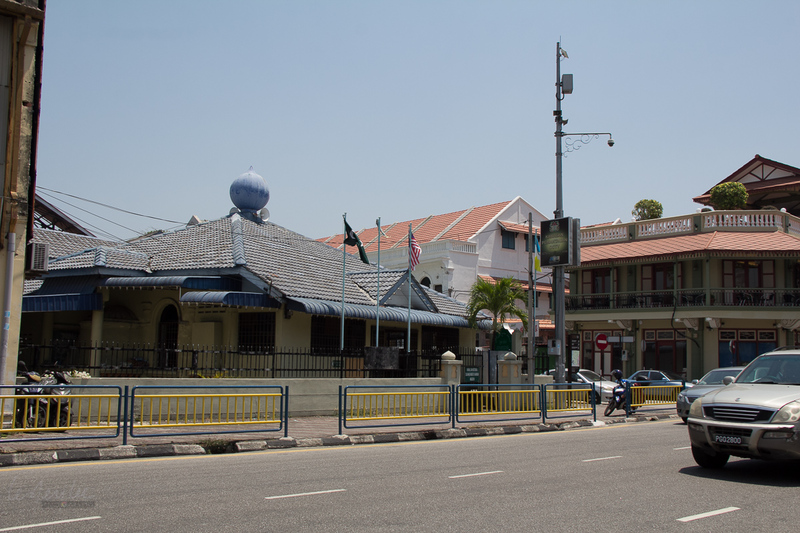 Further along is the Kuan Yin temple, a hive of activity during festival times and closer to town, the Masjid Jamek Titi Papan, a traditional styled mosque. 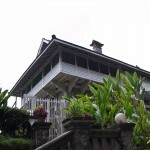 If you walk along Jln Kelawei, you can check out some of the few old ‘Millionaires mansions’ and there’s a reasonable amount of shade as well. Continue walking until you reach the old Northam Road (Jln Sultan Ahmad Shah) Protestant Cemetery, which we’ll uses as a starting point in one of our walks. Look out for the old mansion with the tall building built over it – creative saving of a heritage building? 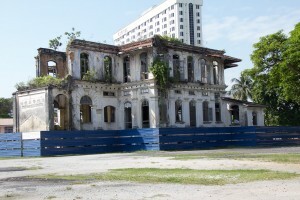 Another building to note is the derelict Shi Chung Branch School, one of the earliest Chinese schools in Penang and hopefully, awaiting restoration. If you’ve walked along Jln Burma, cross over Jln Penang by the walkway to the tall round building, Komtar, and walk straight ahead along Jln Dr Lim Chwee Leong until you reach the bus station (a short couple of blocks). 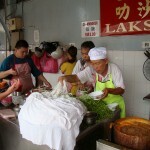 If you’d like a quick stop for a bowl of chendol (green noodles in sweet coconut cream and very tasty) make a short detour along the right side of Jln Penang heading north to Lebuh Keng Kwee – there are two stalls here, always busy. 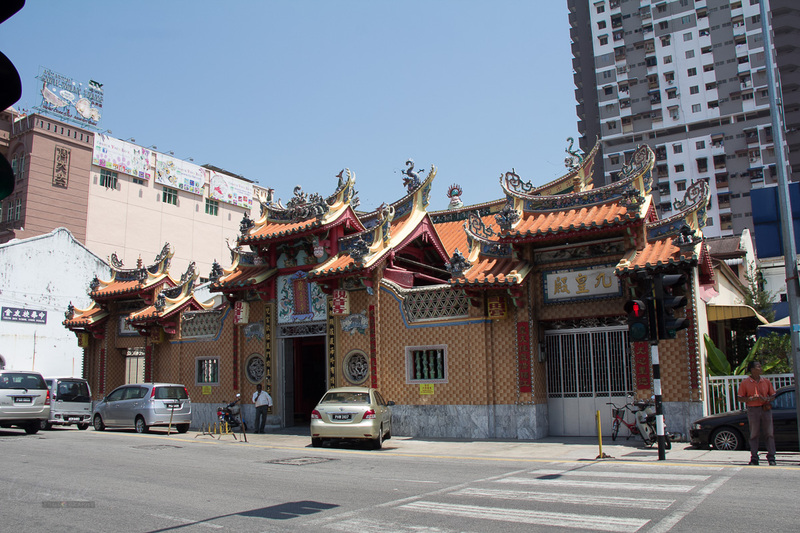 To visit the Kek Lok Si temple in Ayer Itam, from Komtar take Bus 201 (Get off at Pekan Ayer Itam near the market) Bus 203 (get off near the market or when the bus reaches Jln Ayer Itam) or Bus 204 which takes an interesting route thorough a Malay kampung, Kampung Pisang, just before reaching Ayer Itam market. All the roads in this kampung (village) are named after different types of banana (pisang) so you will know you are near the stop for the temple – get out near the market. 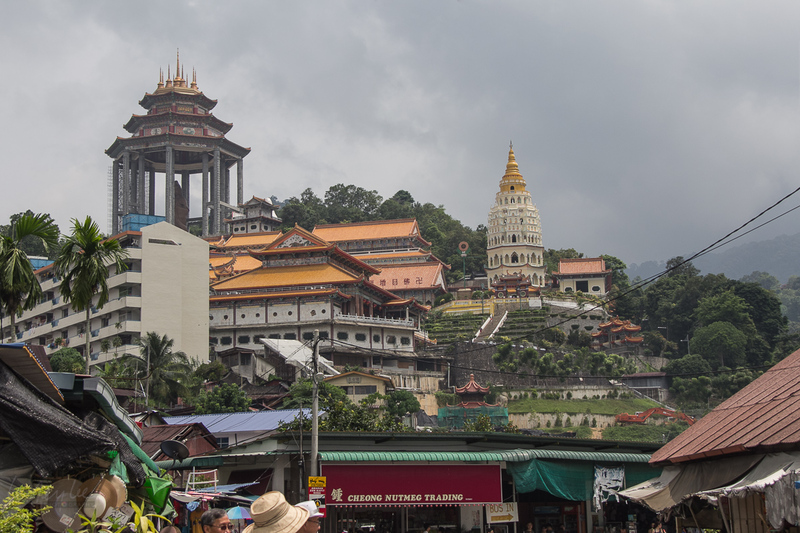 The bus drivers are generally aware that there are visitors on board who want to visit the Kek Lok Si Temple so they will often call out that this is the stop. If it’s around lunchtime, you might like to stop for Assam Laksa (noodles in a sharp, sour fish based soup) or chicken rice from one of the many coffee shops near the market. You will also welcome a freshly squeezed sugar cane juice as you turn the corner to climb the hill to the temple. 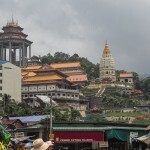 The Kek Lok Si temple is one of the largest Buddhist temples in South East Asia and from the upper level of the original ‘Thousand Buddhas Temple’ or the base of the Kuan Yin statue, visitors have a commanding view of the North East corner of the island across to the mainland. 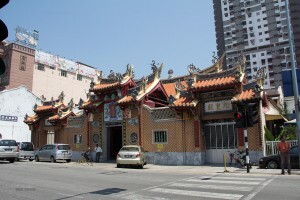 Building began in 1890 and the temple was opened in 1905. 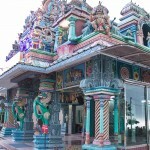 Extensive and on-going work over the past 30-40 years has expanded the temple buildings considerably and you can easily allow 2-3 hours wandering around to see the whole complex. Climb the seven levels of the old pagoda, but don’t try to count the Buddha images, you can easily lose count. The 204 bus continues on to the lower station for the Penang Hill railway, so you can also catch the bus along Jln Ayer Itam after coming down from the temple. 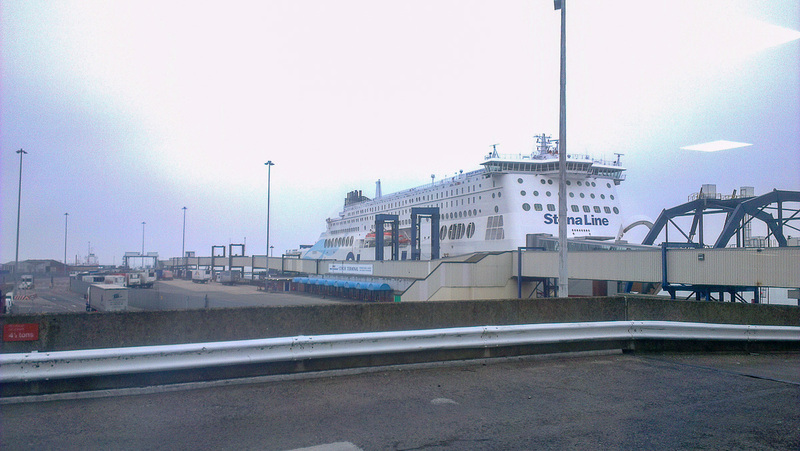 The bus stop is about 200metres along the road directly in front of where you come out from the steps. Bus 204 terminates just in front of the public car park just beside the Funicular Railway Lower Station. It is possible to walk from Kek Lok Si, but there is no footpath and if you see the bus coming and you’re near a stop, it’s best to take the bus. One of the locals showed us a shortcut which makes for a pleasant walk through the shady roads cutting across, but one of the connections has now been closed off and it’s a long way back, so unless you’re with a local from the area, don’t try it. Once you reach the base of the hill, you’ll see the Lower Station for the funicular railway. This is the third improved version of the train since the early 1970s and the ride up or down takes around 15 minutes. Ticket prices increased when the new carriages were installed in 2011, and tourists now pay RM30 for a return ticket. Malaysian MyKad holders do get a discount. Make sure you don’t lose your ticket, or you will have to purchase a new one to travel down. 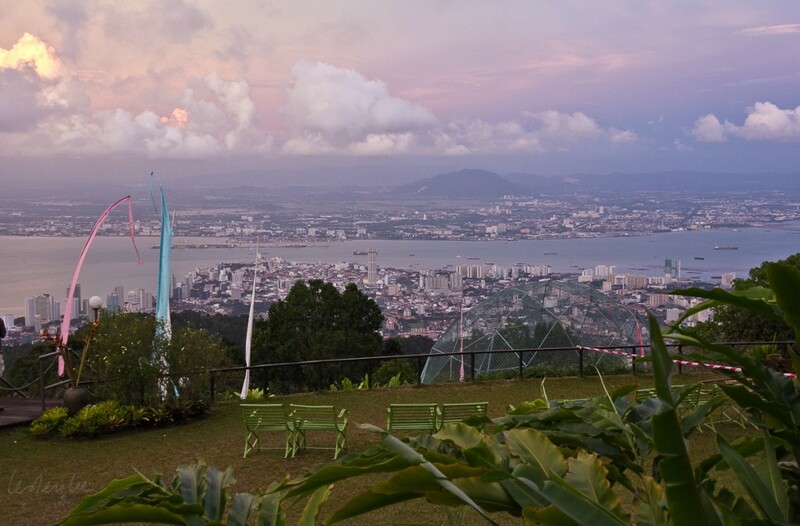 Watching the lights come on in the city from Penang Hill is an experience you may share with many others as the temperature is slightly lower at the top. 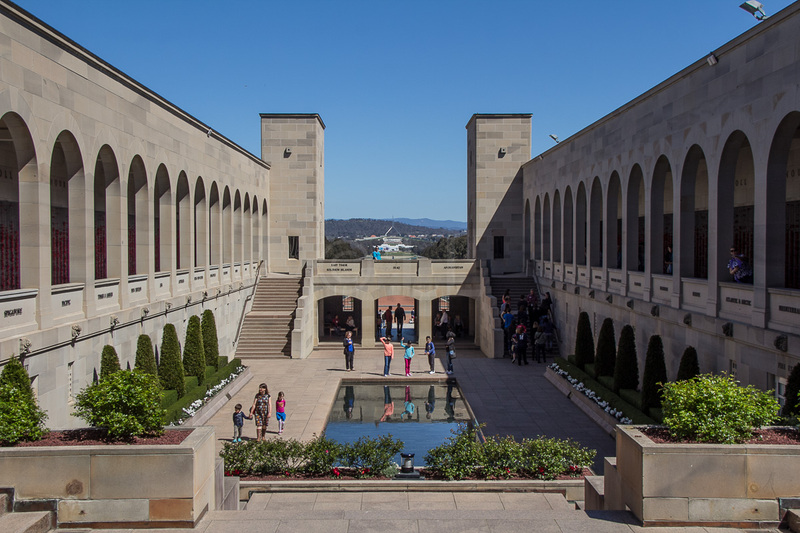 However, if you arrive early enough, you can walk or catch one of the little ‘golf carts’ around the hill, southwards from the base of the steps up to the Indian Temple. Along this road [Summit Road / Jalan Tuanku Yahya Petra] there’s an old red postbox and a number of quite English looking houses, one of which has a proud weathervane on top. Penang Hill (aka Bukit Benderah) was originally established at the end of the 18th Century as a cool getaway hill station for the expatriates and a number of them built homes on the hill. 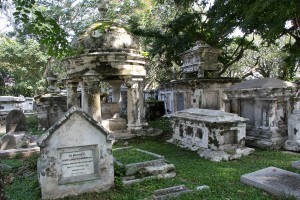 David Brown is believed to be a relative or business partner of Captain Francis Light who was the first Governor. 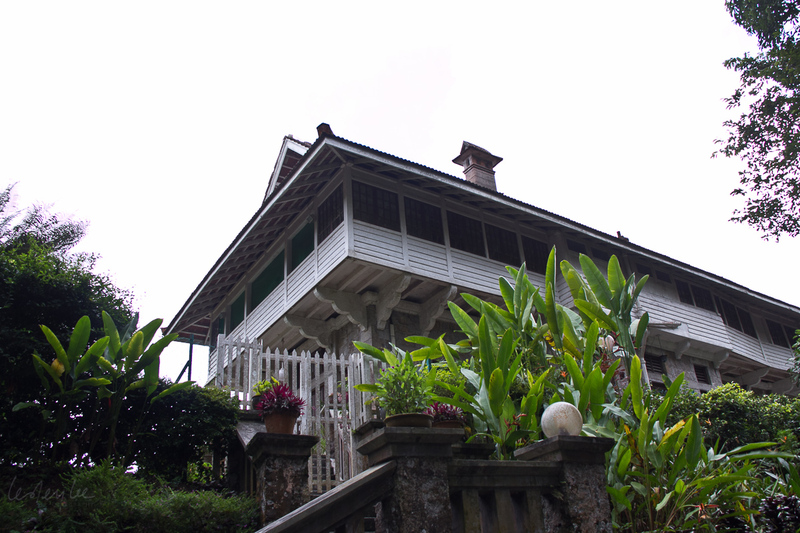 He owned a nutmeg plantation in Balik Pulau and the restaurant which bears his name serves lovely afternoon teas on the lawn or you could stay for dinner. 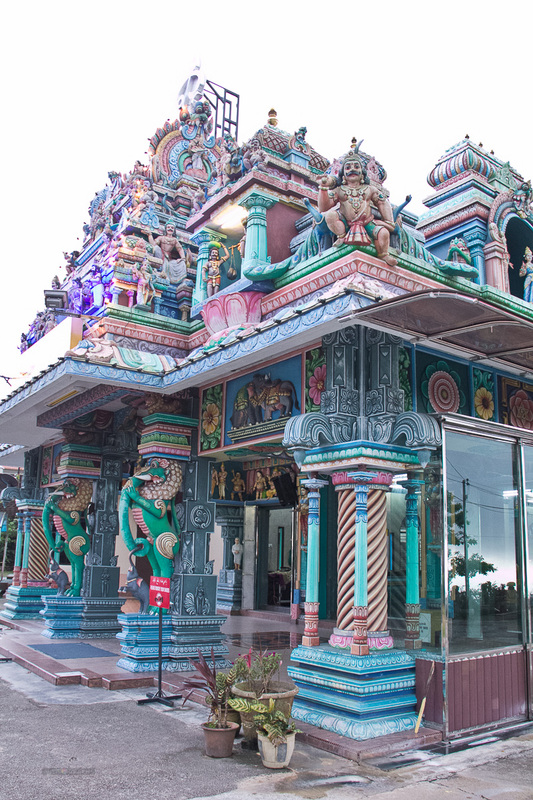 Take a walk up the steps opposite the Police Station to visit the Sri Aruloli Thirumurugan Indian temple and the Penang Hill mosque and pose for photos with the canon pointing out to sea. The Hotel Bellevue is a short walk past the Police Station and canon hill. Here you can see early drawings showing Penang Hill and a sedan chair used to ascend before the railway opened in 1923. If it’s before 5pm, drop in to the Aviary Ginger Garden where they have an impressive display of different types of ginger and some lovely birds one of which likes to have a chat. A frequent guest in the hotel was architect Richard Buckminster Fuller, associated with the geodesic dome, two of which can be found on the hill in his honour. 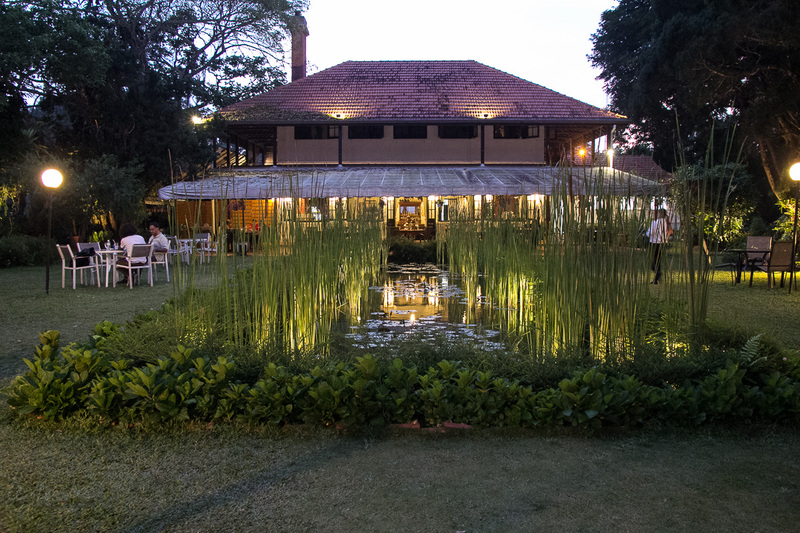 Somerset Maugham also liked to stay here and like them, you can enjoy a view of George Town from the garden overlooking the city, or enjoy lunch or dinner on the verandah. There used to be random snakes in the foliage hanging from the verandah roof, but the management felt it better to catch them all and transfer them elsewhere, a long way from the guests who had expressed their discomfort with the unwelcome reptilian company. If you’d like to stay for dinner, you could try David Brown’s, which also has a bar overlooking the city for pre or after dinner drinks. Or perhaps you could try the Bellvue Hotel and there are local choices available at the food area near the Police Station. Make sure you’re back in time to catch the last train down at 11p.m.